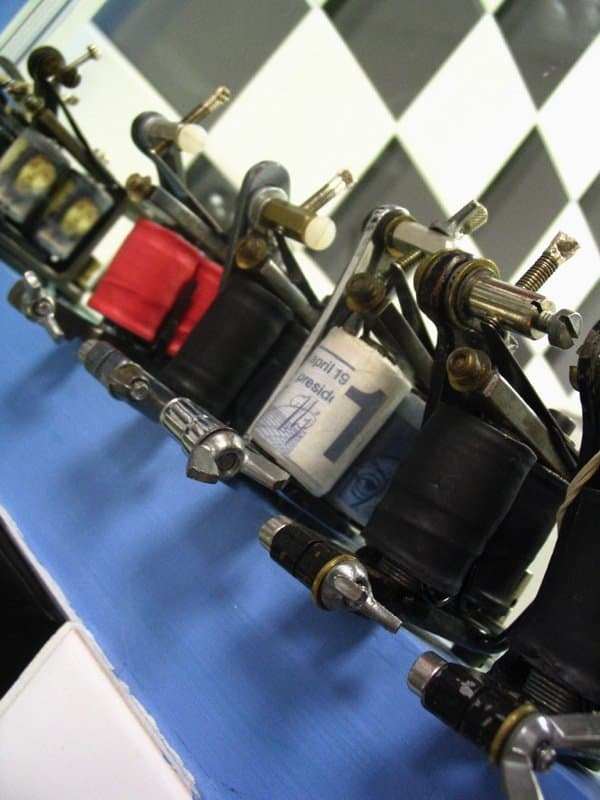 The most important piece of equipment for every tattoo artist is the tattoo machine. They make their masterpieces come to life on the skin using these tools. Knowing which are the best tattoo machines is critical, so you can make the best decision for your art. If the machine you’re using is not a quality one, then the work you produce will suffer. We often hear the term “you’re only as good as your tools,” and that holds true in this case. Let’s look at some of the best machines available on the market so you can create great pieces of ink work. What Are the Main Differences Between Rotary and Coil Tattoo Guns? If you’re serious about becoming a tattoo artist, it will be important to have the right setup. Before you rush out to buy anything, speak with your mentor first. You don’t want to be wasting your money on buying a cheap product that is no use. Chances are you won’t need any equipment to begin with when you’re just learning. No matter how eager you are, don’t buy anything until you need it, otherwise, you’ll end up with the wrong tools. Ultimately, you should take the advice of your mentor on what to buy, but here are some of the best machines for beginners. This is a pen-style machine. It gives you something that feels more natural to hold. 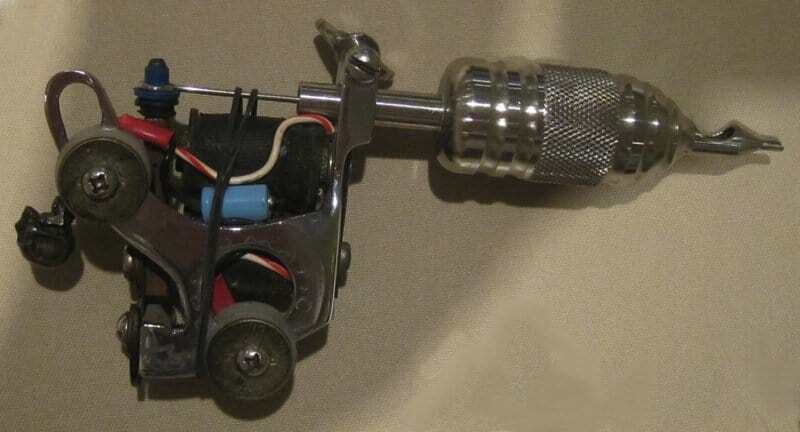 If you’re new to tattooing, you will be better off using a pen-style tattoo machine like this one. It has an ergonomic design which allows it to sit easily in the hand for a better grip. Dragonhawk makes these machines from space aluminum. It also has a quality Japanese motor which operates very quietly. The stroke length is interchangeable which allows you to tailor your tattooing. The lengths are variable, between 2.8 mm and 3.5 mm, which allow you to use a variety of techniques and styles. This is a versatile rotary machine which allows you to achieve accuracy and control. It’s lightweight, (4.2 ounces) and operates with minimum vibration. This is achieved using its advanced system of gears. The machine is compatible with most types of needle cartridges and operates at six to nine volts. The Dragonhawk Extreme is a rotary machine that you can use for both lining and shading. This machine hits the top of the list in many reviews and for good reasons. It is lightweight at 6.17 ounces, and the body is crafted from carbon steel. This machine includes a Japanese motor. The motor works quietly and smoothly with minimum vibration. It operates between seven and 10 volts. For shading, it’s recommended that you use it at seven to eight volts, and for lining, eight to nine volts. The stroke length is 3.5 mm, and you’ll be able to add in bold lines with only a couple of passes. The maximum needle size is 50 mag, and the biggest tube diameter is 8 mm. It comes with an extra spring included. You also get an allen wrench, plus a bottle of lubricant for maintenance. Dragonhawk makes its machines from copper coils with a steel frame. It designs them for both resilience and stability. The kit also includes a power supply that has a digital display and is easy to use. The voltage range is adjustable up to 18 volts, and the operating voltage is 100 to 230 volts. Four steel tattoo machine grips. Set of adjust tools and attachments. 20 bottles of Immortal Ink. This comes complete in a carrying case that you can lock to keep your setup safe. The inks included are vegan-friendly. You get an assortment of smooth and vibrant colors included in the kit. 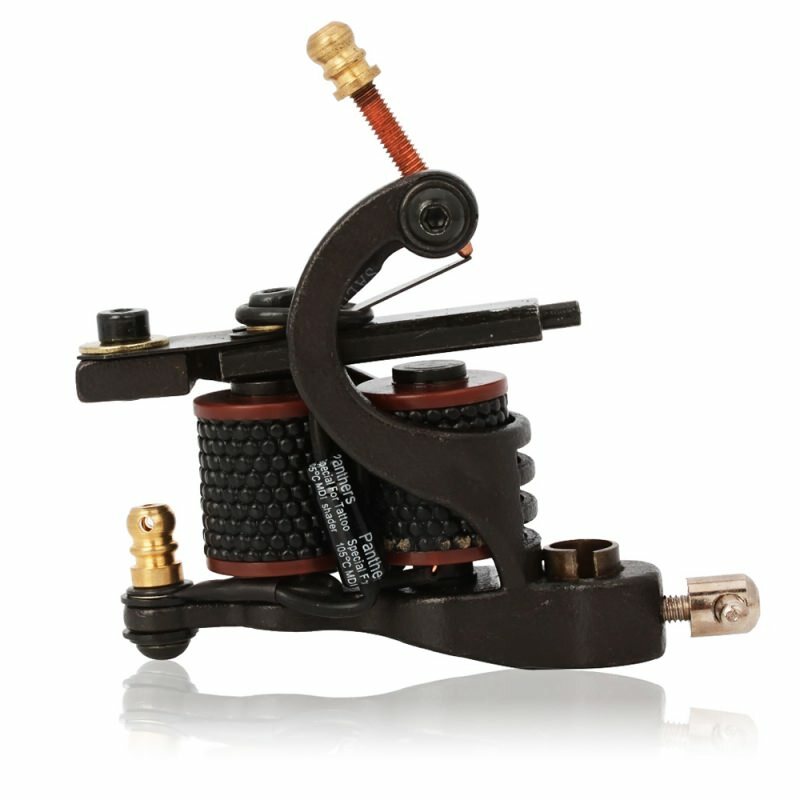 There are so many tattoo machines on the market, that choosing the right one can be an incredibly difficult decision. You want to choose something which is not only comfortable to work with, but will also help you produce quality work. Your machine needs to be reliable, something that will see you through a good, long day of ink work. The machines we’ve highlighted here are our choice of the best on the market today, and used by many tattoo artists around the world. Whether you’re an aspiring ink apprentice or an experienced tattooist, there are several good machines here that you’ll love. Cheyenne always features among the top when it comes to tattoo machines. Even though the company has been around for a while, it still keeps up with the times and remains innovative. This keeps the firm up there as one of the best tattoo machine manufacturers. Another thing that keeps Cheyenne at the top is that it takes time to listen to the tattoo artists. The company is always looking to find out what their needs are and what they want from their machines. Doing this allows the company to design and manufacture products that will meet the artists’ needs. Cheyenne Hawks are rotary machines. They have an ergonomic design and a grip attached for better handling. They’re also quite light—weighing in at just 3.9 ounces. This makes them one of the lightest machines on the market. With the Cheyenne Hawk, you get all the benefits you would expect from a rotary machine. There’s no sacrifice with feedback response either. You can use these machines with most power supplies, and they have a long-life precision motor. The Hawk has good safety features as well. It includes the auto needle retract when the machine powers down. Plus it has a protected jack connector too. This prevents “jack snap” if you accidentally drop the machine. It is the only machine out there with a revolutionary cartridge system. This system allows you to change the needles with a quick turn of the wrist. You can get the machine in two colors, matte black, and anthracite. It is ideal for both the seasoned professional and for those who are just starting out and testing the water as an apprentice. The FK Irons Crossover is another great rotary machine—one which comes in a choice of several fun colors. It first came about in 2007, when it was constructed by Gaston Siciliano, a tattoo artist. Over the years, we’ve just seen these machines getting better and better. This FK Irons Crossover allows you to use either standard needle sets or cartridges, and the crossover is easy. 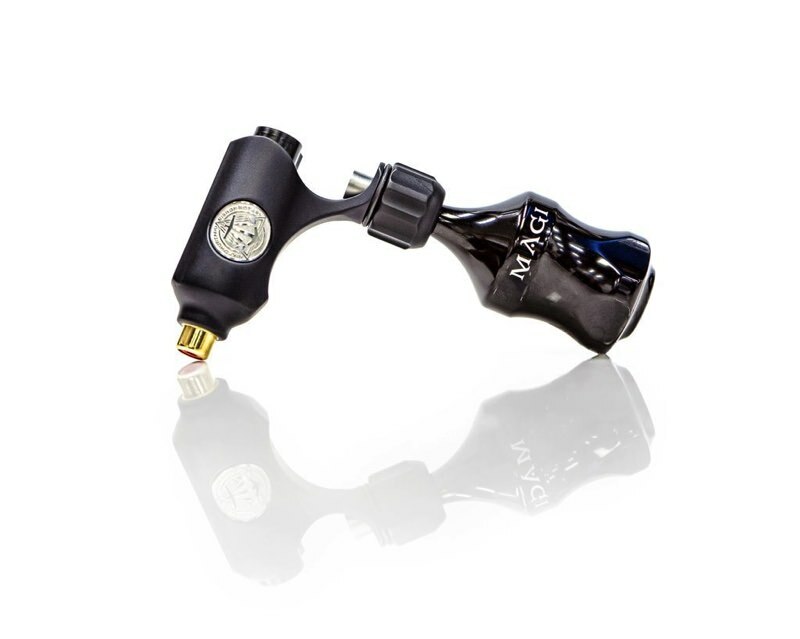 It has the MultiVise system, which allows you to use back-stem or screw-on cartridges, with no adaptor required. The clip-on armature is grommet-less, so you won’t need to use any rubber bands or grommets. FK allows the artist ample comfort and preference with the three interchangeable stroke caps. This machine also runs silently when used with low or high voltage. You can power it using the Edge X and Direkt 1 motors. These machines are manufactured in the U.S. FK makes them using aircraft-grade aluminum. The machines have a durable finish which is polished to a mirror shine and then anodized. The machines are maintenance-free and need no lubrication. You can safely clean the machine in an autoclave, but it should not be cleaned in an ultrasonic wash. The FK machines are sold for professional use and apprentices. All their machines come with a lifetime warranty, which covers against manufacturing defects. Eternal is a company headed by former tattoo artist, Terry Welker. The company is a well-recognized and trusted name for tattoo supplies. The machine is small, simple, and efficient. 2.6 mm, which is best for black and gray shading. 3.4 mm, ideal for coloring and solid black inking. 4.2 mm, great for lining, whip shading, and coloring. The Invictus is a rotary machine suitable for all styles of tattooing. Whether lining or filling, it’s capable of completing the job. It’s lightweight as well, at only 3.17 ounces. This allows for comfortable sessions that won’t cause strain or fatigue for the artist. Eternal have crafted the machine from aircraft-grade aluminum. Models are available in blue, red, or black. The motor is a 17 mm Faulhaber, which gives it a smooth and quiet performance. The slide system and needle bar retainer are made using high-density and durable Delrin. Each unit comes supplied with an HM RCA cable so you’re ready to go on arrival. The machines also come supplied in a tin case which you can use for storage. If you want to be a successful tattoo artist, it’s important that you have the right equipment to do the job. As you’ve already discovered, the most important part of your setup is your machine. This is what will take your design or your customers’ design from paper to reality. You don’t want the reality to be a disappointment, so you need to make sure that you choose the right one for you. What may be right for one tattooist is not necessarily the same for another. Consider you yourself as the tattooist and what your needs are. You may be a seasoned tattooist but have never been sure what you should look for. Or, if you’re an apprentice looking to build your setup, here are some great tips that will help you. If you’re starting out on a tattooing career, then your machine will see a lot of use. It’s important that you consider what material your machine is made of when looking to buy a new one. You don’t want to risk the machine shattering or breaking when you’re in the middle of a masterpiece. Most of the reputable manufacturers make them from iron, brass, or other durable metal. If you choose a cheap and flimsy machine, you’ll be putting your customers at risk. If the machine malfunctions, you could injure them. Something like this happening would ruin your reputation as a tattoo artist. In the tattooing world, reputation is a big thing. Buy a machine that’s sturdy and fills you with confidence each time you begin a work of art. Your mentor may have used a certain type of machine for years and may highly recommend it. Just because it’s right for them doesn’t mean it will be right for you. Once you’ve decided what you want your machine to be made of, you next need to decide on the shape and size. As a tattooist, you’ll be holding it for hours on end and most likely, or hopefully, you’ll be holding it every day. It needs to sit comfortably in your hand, so you need to try different ones out. Think about if it’s the right size and how it feels when you hold it. Also, consider the weight. Over time, a heavy machine can start to feel a lot heavier. Another thing to consider is how flexible it will allow you to be when you’re holding it. Chances are you’ll be in some awkward positions at times when inking. Consider if it will still feel comfortable when you are working in those unnatural positions as well. The next point you need to put thought into is whether or not you’ll be using more than one machine. Some tattooists will use separate machines for shading, lining, and coloring, etc. This means that you’re not totally reliant on one machine to do all the work. It’ll help make life easier when it comes to tattoos where you’ll be using different techniques. Another thing it will do is help to improve the quality of your tattooing as well. You could always get a hybrid machine. However, most professionals will steer clear of these and opt for individual machines instead. It’s far better than relying on one machine for everything. You don’t have to worry about changing the settings when changing technique. As a professional tattoo artist, your first thoughts should be the safety of your clients. It’s no good investing in cheap equipment that could end up injuring someone. You also don’t want to produce poor work, as your customer is then stuck with the end result for the rest of their life. Don’t forget that your reputation is always on the line. Make sure that the machine you choose is the right one for the job. Remember that you’ll be doing many different kinds of ink work. This work will need you to use different techniques. Your equipment needs to be able to achieve all of that and be comfortable to use. The first ink tube and needle system came about in 1891 and it was Samuel O’Reilley that developed it. He did this by adapting Thomas Edison’s electric pen into a rotary tattoo machine. Just twenty days after O’Reilley patented the tattoo ink reservoir and needle system, something big happened. Thomas Riley patented the first single-coil tattoo machine in London. Alfred Charles South was the person who came up with the more modern double-coil machine. He was also from London. Since those days, the machines have become far more advanced and are used worldwide. Coil machines no longer weigh so heavy that they need to be suspended from the ceiling. This is how they used to be operated by tattoo artists. The rotary machines are even more so advanced. They are the quietest and gentlest machines to date. 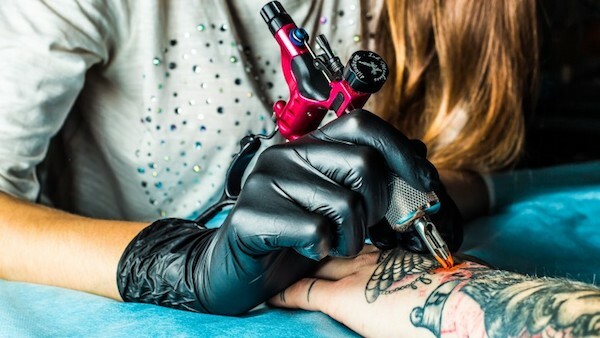 While both types of machines are for tattooing, we want to know what the differences are. Let’s look to find out. Both types of machine are designed to achieve the same end result. They both pierce the skin and introduce ink into the dermis to create a permanent image on the body. A rotary machine has a cylindrical motor which spins clockwise. On top of this, the needle bar is attached to a nub. As the motor spins, it moves the needle bar backward and forward in a straight line. Using this motion, the needles pierce and retract from the skin. This is done in a series of smooth and constant motions. Coil machines work differently to this and have a more complicated mechanism. A coil machine works by using electromagnetic currents. These currents create and break circuits over and over again. When the circuit is created, it moves the needles forward, and when it’s broken it retracts them back. The coil makes the current when the machine is powered. This charges the coils and they become electromagnets. The electromagnetic force then pulls the armature bar down to the coils. This forces the needles into the skin. As the armature bar moves down, it takes the spring with it. This action makes it disconnect from the contact screw. The circuit then breaks and retracts the needle from the skin. The cycle repeats when the armature bar returns to the starting position. A new circuit is then created and the process continues. This then follows with the armature being pulled down and the circuit breaking again. This is how a coil machine gets the repeated action of the needles piercing and retracting from the skin. A coil machine operates with a hammer-like force. This force drives the needles in and out of the skin, and is more forceful than how a rotary machine works. The power of a rotary machine is constant, so it moves fluidly—pushing the needles in and out of the skin smoothly. Rotary machine tattoos are gentler on the skin, and they seem to heal quicker, producing less scarring. Rotary machines are also much quieter. Some people prefer to hear the sound of buzzing when tattooing or getting a tattoo. If you like the noise, you need to opt for the coil machines. A rotary machine is easier to maintain than coil machines, as it has less moving parts, and both types of machine will have to be set up slightly differently from one-another. Here is a list of some pros and cons of coil and rotary machines. Another aspect to consider is the artist using the machine. The experience they have with tattooing and with each machine could have an impact on the pros and cons too. Causes less damage to the skin. Consistent and fast needle movement. Good for filling and color work. Works best with small needle groupings. Need to go the full stroke to reach rotary motion. Not as responsive to skin tension as coil machines. Adding line depth and shading are more difficult. The fast needle movement makes it easy to make stitched lines by accident. Doesn’t have as much punch as coil machines, so not good with large needle groupings. Smoother and more refined lines. Stronger motors give them more punch power (good for higher number needle groupings). Great for intricate lines and shading. Easy to change and build your own machine. Requires more experience or a higher level of skill to use with competence. Noisier than rotary (some people like to hear this noise when being tattooed, so they can see this as a pro). Can cause more damage to the skin than a rotary machine. Requires a higher level of maintenance as they have more moving parts. Finally, with all of this information about tattoo machines, you can now evaluate what to look for in a machine. We’ve pointed out some important aspects that you need to think about. You should consider all of these before making your final decision on which tattoo machines you’ll buy. Make sure you take our advice if you want to earn a good reputation as a tattoo artist.